HOAX (Photo: Courtesy of https://hoax.band/). 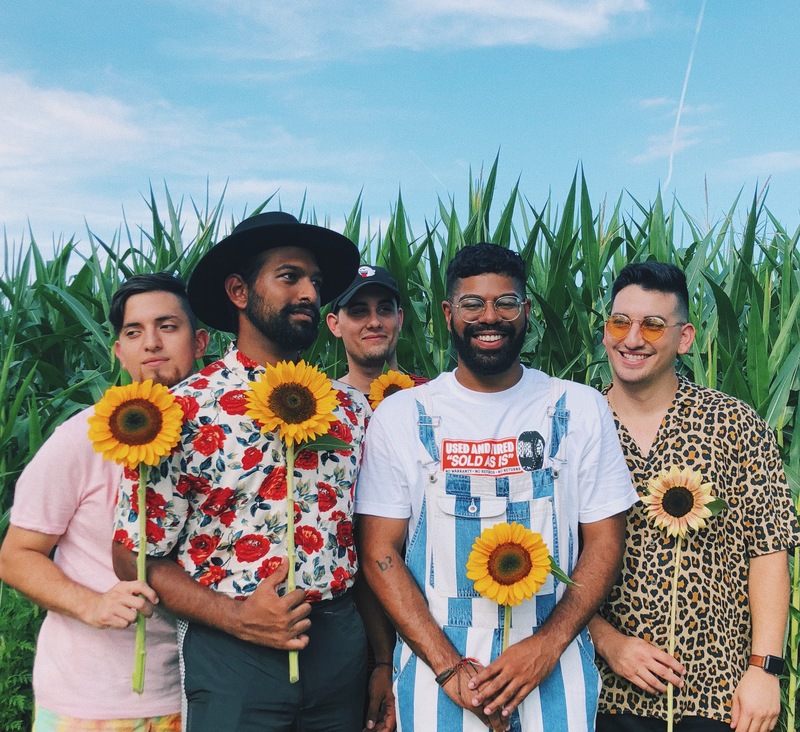 Five-piece empathy pop band HOAX from Long Island is creating feel good tunes that will last you all year long. “Moon Moon Baby / Shine through and come and save me,” lead singer Mike Raj sings in his cool and warm vocal stylings, reminiscent of Young The Giant meets Arctic Monkeys. The band’s new single “Moon Moon Baby,” released today, is an easy-going free-spirited song with a flair for alternative rock and a heart for vintage bass and soul. The band, made up of Mike Raj (vocals), Frantz Cesar (bass), Paul Brower (guitar), Kevin Lopez (guitar) and Jacob Lopez (drums), formed in the halls of Hofstra University and they have managed to create a unique and exciting blend of pop and indie-soul sounds with alternative rock roots and fun lyrics. With a sound described as “the sound of beautiful sadness,” their new single about longing for a lover but feeling like a sweet jam session at the same time couldn’t exemplify that description any better. Their musical instrumentation is easy to listen to, with lots of sing-along moments, catchy fills, guitar riffs and a whole lot of soul. Try not to bob your head while listening to their new single — because it’s a real jam. Follow HOAX online on Facebook, Twitter and Instagram. Thank you for featuring HOAX’s new single on the blog today! Really appreciate the support. We’ve pushed off dinner for weeks hahaha but let’s make it happen next week “for sure”.